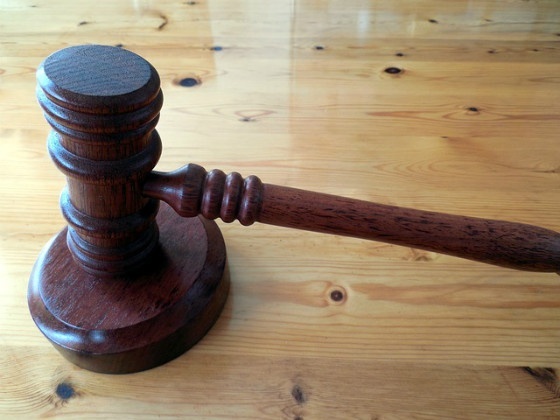 Social Media News Roundup: Facebook Divorces, Bored Bankers and a Twitter Buyout? In a landmark case, a New York judge has ruled that a woman can use Facebook private messages to serve divorce papers. The ruling, reported in The Guardian on Monday, has been made on the basis that the woman has been unable to contact her husband in any other way. Whatever your thoughts on the subject, it is yet another demonstration of how important Facebook has become to our everyday lives. Here’s a fine example of how not to do social media, courtesy of RBS. 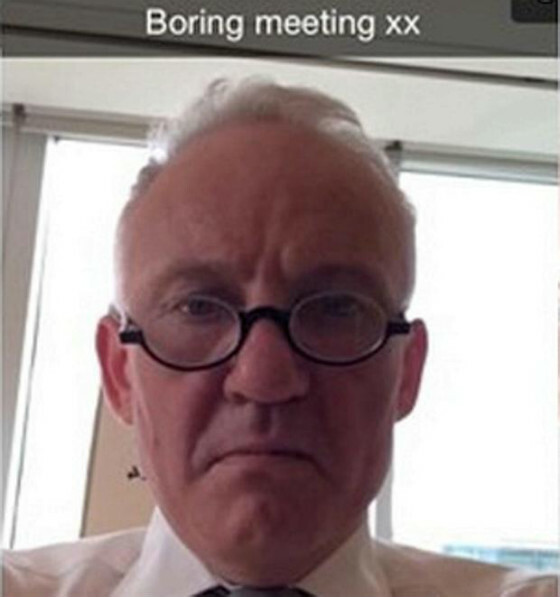 According to the Telegraph, the bank’s chairman, Rory Cullinan, is to leave just weeks after SnapChat images of him complaining about being bored at work became public. The original conversation was a private SnapChat between the chairman and his daughter. While SnapChat images aren’t intended to be permanent, Cullinan’s daughter took screenshots and shared them via Instagram – as part of an ill-advised “Happy Birthday” message. One of the SnapChat messages sent by Cullinan. Source: The Sun. The story is a timely reminder never to complain about work on social media – even if you think your account is private. It’s also proof that even C-suite execs can get it wrong. Yet again, rumours have emerged claiming Google is considering placing a Twitter takeover bid. Source: Shawn Campbell at Flickr. The Telegraph reported that the search giant approached the social network with “serious interest” in a buyout, and could easily afford the takeover as it’s sitting on a $60 billion “cash pile”. A buyout would be big news, but we have heard this before – reports in 2011 claimed Google was planning to purchase twitter for $10 billion. Business Insider drew comparisons between the rumours and Microsoft’s attempt to buy out Yahoo! in 2008. 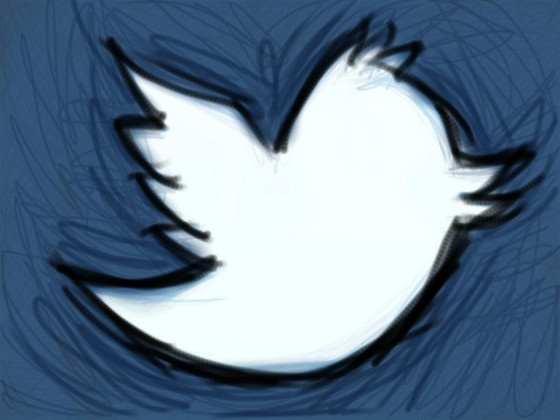 Twitter has relaunched its quote tweet function – to mixed reviews. The quote tweet function has long been used as a way to retweet another user’s tweet and add a comment at the same time. The revamped function embeds the retweeted content within the new tweet. The feature has launched on web and iPhone and is set to roll out on Android soon. Hannah Jane Parkinson revealed the mixed user responses in The Guardian. Could Facebook be testing a new translation tool? David Cohen of Social Times thinks so, after a reader sent him a screenshot which appears to offer the user the option to translate their own post into other languages. This would differ from existing Facebook translation tools. Currently, users can use the Translations App to translate the Facebook interface into another language, or ‘See Translations’ to translate another user’s post or comment. According to Cohen, the new translate post feature has not yet been enabled. 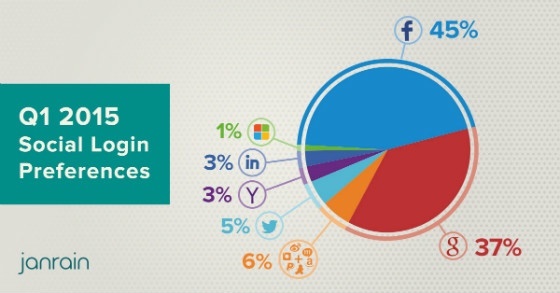 Facebook is still the top platform people use to log in to external sites, and its dominance looks set to continue, despite strong competition from Google. 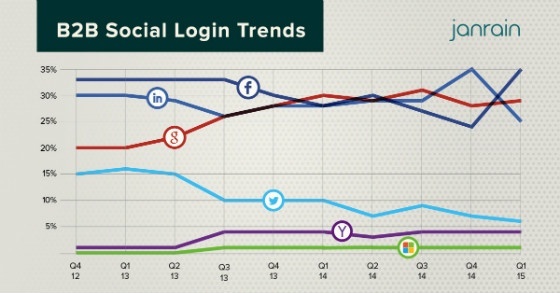 Janrain’s Q1 2015 Social Login Preferences report puts Facebook on top with a 45% market share, with Google at 37%. Google looked set to challenge Facebook’s crown in Q4 2014, after a steep rise from Q3 saw it win a 40% share to Facebook’s 43%. Facebook’s outlook was particularly bright in the B2B sector, where it dramatically gained nine per cent, after having previously trailed behind Google and LinkedIn for the previous two quarters. 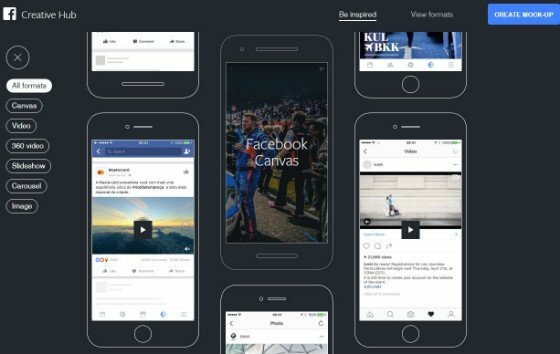 “Editorial” is the buzzword of the moment with social media platforms, with stirrings like Snapchat’s ‘Discover’ feature pointing to the emergence of a wider craze. 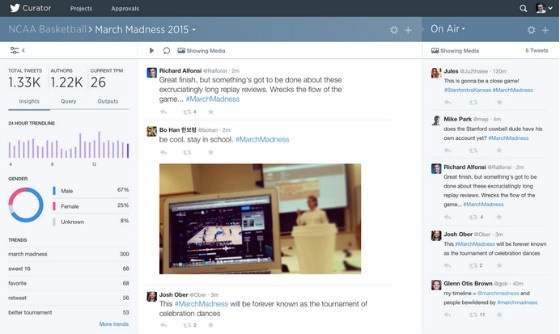 Twitter is the latest to tap into the trend, announcing the launch of its Curator tool last month. Curator aims to make it easier for media publishers to find and curate relevant, popular and trending content. The tool can be used to search both Twitter and Vine using “complex keyword and hashtag queries”. It is currently only available to media publishers. 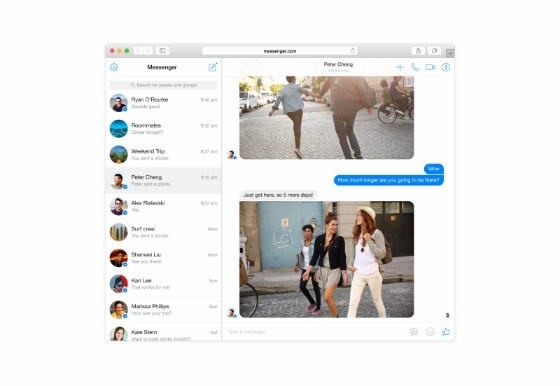 Facebook launched a web browser variant of its Messenger platform on Wednesday, reports Marketing Land. However, this isn’t a sign that Messenger is being removed from the desktop version of Facebook. In fact, the company was keen to point out that this “will never happen”, after angering users by removing Messenger functionality from Facebook apps last year. Last month it was Twitter; this month it’s Pinterest’s turn to celebrate a milestone birthday. The image-pinning platform marked five years since its launch as an invitation-only network. 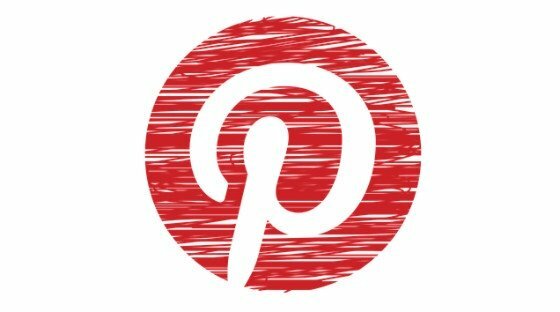 To give you an idea of how Pinterest has grown since then: there are more than 50 billion pins, curated on more than one billion boards. That includes more than 1.7 billion recipe pins alone. New parents can rejoice! Thanks to Facebook’s scrapbook feature, launched in March, they now have an easy way to organise photos of their children on the platform. Previously, you could only tag users who had a Facebook profile – which meant no way to tag photos of children under 13. With Scrapbook, this is no longer a problem. 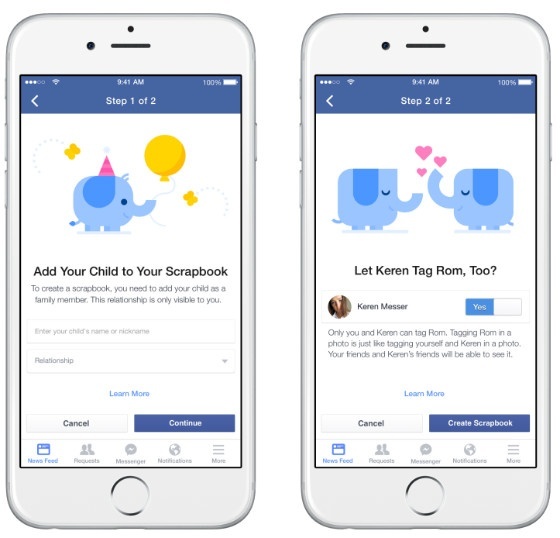 Parents can tag photos of their children, making it easier to share them with their Facebook friends. They can also opt to co-own the Scrapbook with their partner – making it easier to share those photos with their partner’s network too. Blogging platform Tumblr has hired its first chief marketing officer. Stephanie Dolgins is to take on the role as CMO. She has previously worked with CNN and AOL, among others. It will be interesting to see if this new appointment signals big changes at Tumblr. Make social media planning simple – download your content marketing guide, complete with a free social media calendar.